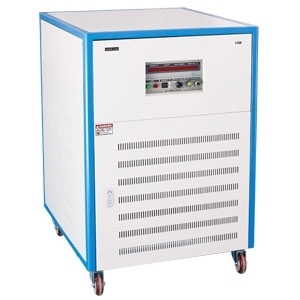 45 kVA single phase 110V/220V frequency converter (AC power supply), converting fixed frequency 50Hz/60Hz power source to variable frequency & voltage (V/Hz) power source, up to 400Hz adjustable. 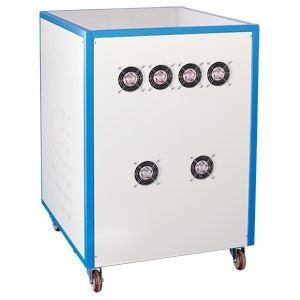 45 kVA solid state pure sine wave AC power single phase frequency converter, converting fixed power frequency 50/60 Hz to variable frequency, up to 400Hz. 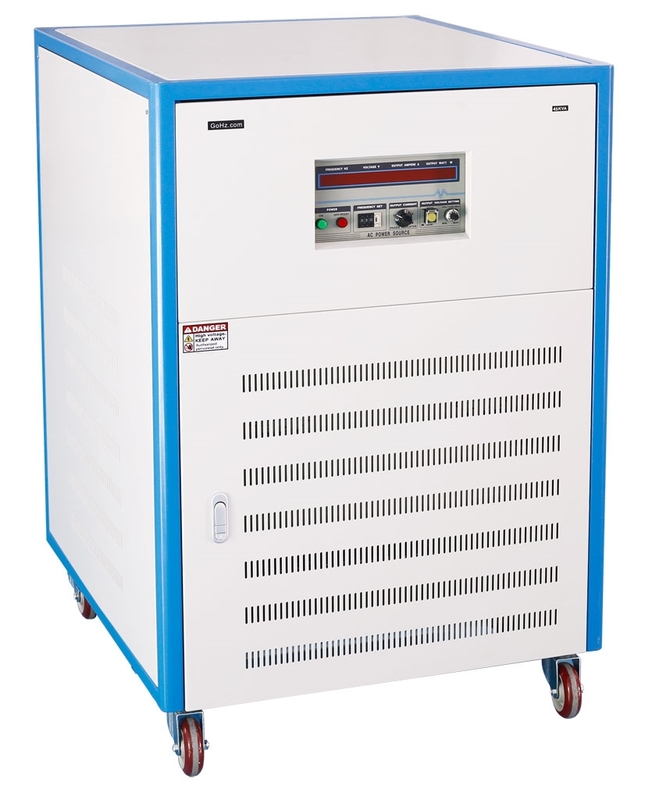 By using this frequency converter, you can convert single phase 110V (120V) 60Hz to 220V (230V, 240V) 50Hz (additional step-up transformer required), also can change single phase 220V (230V, 240V) 50Hz to 110V (120V) 60Hz by a single device. Tips: Is it harmful if I running a motor at higher frequency power? Most of the rotating devices using AC power supplies will not result in a hum if the frequency is above 10-15Hz. The speed of an AC motor is directly to the frequency and therefore at low frequencies the speed will be less. Modern power systems work at a constant frequency and the change in frequency cannot be more than 2%, i.e 50Hz can become at the most 49Hz, 60Hz at the most 59Hz, not less. Very often in good power systems, the frequency will be very close to 50 Hz/ 60 Hz unless there is a heavy load demand which cannot be met at a given time. It is mandatory that the frequency of AC power systems be maintained close to the 50Hz or 60Hz as the case may be. Again the high frequency component in power converters (particularly rectifiers which convert AC to DC depends on the type of rectifier. 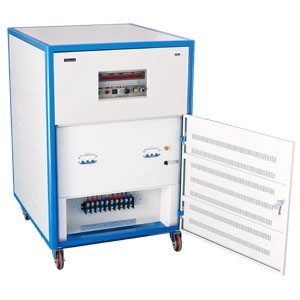 Full wave rectifiers the ripple frequency will be double the supply frequency, in three phase full wave 6 times and six phase full wave 12 times etc. Harmonics due to SMPS and PWM (pulse width modulated) systems, it will be much higher. The effect of these higher harmonics will not be felt by lighting systems in any case. Frequency of the flickering of lamps that can be perceived by human eyes will be much lower than power supply frequency.